Come see Sir Cupcake’s Newest show!! Sir Cupcake's Queer Circus is a full-length circus theater production that spotlights transgender and queer performers in a multi-discipline show with aerialists, clowns, dancers, acrobats. This campy production follows the strange adventures of Sir Cupcake in Another Dimension. The Queer Circus must play a high stakes game with a Multi-Dimensional Goddexx in the hopes that they can heal what is hurting in our real world, and in themselves. Will they be able to harness the power Queer Humanity possesses; or will they get locked in Laser Jail? Featuring queer and Transgender circus performers including Sir Cupcake (Jack StockLynn), Kel Dae (OAK), Lucy Eden (ATL) and Colleen Thompson (NYC), and local favorites Ari and Ben, Tera Zarra, Zoe Stasko, KC Fong and more! Shows are at eat Alberta Rose Theater in Portland, OR. **All Ages and NeuroDiverse Friendly. 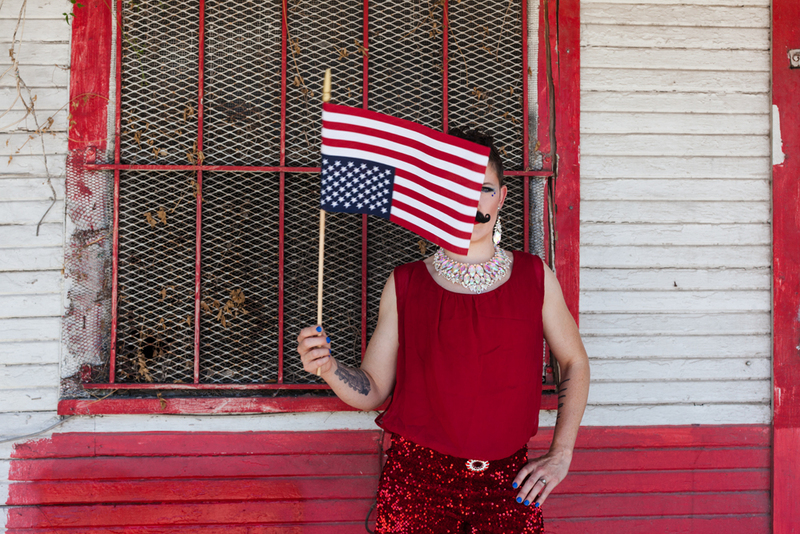 I am a transgender Circus Performer! What does that mean? Though I was assigned something else at birth, I am a man. Tada, it is that simple!! I use he/him/his pronouns, and my off stage name is Jack. Yes! I have had top surgery to help my body match my identity. Yes, it was scary, particularly as a performer that uses my body to make a living. and YES, I am so much happier, thank you for asking! Yes! It is hard to be Transgender and a Circus performer. I sometimes make my own roles, as often people don’t know what to do with who I am. I have played: ghosts, sprites, cats, genderqueer dandies, delivery people, meat shop customers, and emotional gender changing sailors. As a highly trained actor, clown, and circus performer I can adapt to any role needed. I even make my own characters and full length shows! No! You don’t get to know what is in my pants. That is a none of your business! YES! If you think I am cute than you are probably at least a little QUEER. Most people are, so get into it! Now you know! ;) XO, S.C.
Hello Cupcakes! I’ve been busy busy this fall. with so many fun events and shows, there is barely time to keep up, I’ll try to update you! First, my husband and I finally went on our honeymoon. Vacation is pretty great, I see why people get excited about it, now. We went to Maui and went zip lining, camping, hiking and ate shaved ice almost every day. It was delightful! October was FULL of some great events, including the Portland launch party for American Experience’s new 4 hour circus documentary. I also got to entertain the fantastic people at Change(d) Together, and event supporting The Circus Project. I got to stiltwalk and share my balloon bunnies with a lovely crowd. At Change(d) together I also debuted my new ROLLER SKATING WAITER!! After that it was all the scary good times at Fright Night, NightFlight Aerial’s 8th annual show. I FINALLY got to live out my dreams and be a CAT!! SO Much FUN!!! November is all about Holiday show prep. I have a bunch of shows with DoJump and the delightful Three Leg Torso December 14-16th at the lovely Alberta Rose! After that it is into the trenches making new and exciting work for next year! To stay up to date “like” and Sir Cupcake on Facebook!